To meet growing industry demand for qualified healthcare information technology employees, Glendale Community College (GCC) and Paradise Valley Community College (PVCC) have combined areas of expertise to launch collaborative Healthcare Technology Systems associate degree and certificate programs starting Fall 2015. Some courses will be taught online; others will be in person and hybrid formats. Internships are critical in our approach to making sure students apply what they learn in the classroom. This AAS program was designed to lead to internships and a bachelor’s degree program. --John Gibson, Business & IT Faculty at GCC. To meet growing industry demand for qualified healthcare information technology employees, Glendale Community College (GCC) and Paradise Valley Community College (PVCC) have combined areas of expertise to launch collaborative Healthcare Technology Systems associate degree and certificate programs starting Fall 2015. Courses will be taught online, in person or hybrid formats. The digital healthcare revolution is here. As patient data moves online providers will begin to rely on integrated charting and billing systems for efficiency, financial stability, and patient satisfaction. Healthcare information technology is a career field that demands both IT and healthcare operations skills. IT employees will need specialized training to meet the needs of a healthcare industry that’s moving into the digital realm. The Healthcare Technology Systems associate degree and certificate programs are designed for students who are already in, or who want to enter, the healthcare information technology field. Courses include a combination of IT and healthcare-related subjects, including data integration, web design, database management and healthcare operations. The first class in the program, Introduction to Healthcare IT & Systems (HTM150) is available online this Fall at PVCC. Both colleges will offer subsequent courses. Glendale Community College offers innovative higher education curriculum in more than 100 associate degree, certificate and transfer programs, workforce development and career re-training courses. 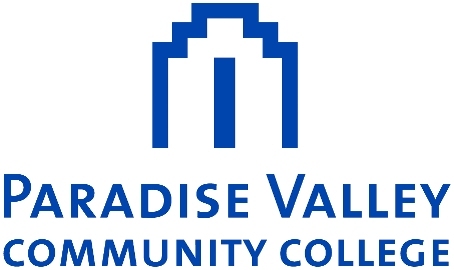 Founded in 1985, Paradise Valley Community College offers transferable academic courses as well as job-specific occupational training. The Union Hills campus is located just west of the SR51 Union Hills exit. PVCC at Black Mountain, serving the far north Valley, opened in August 2009. PVCC is accredited by the Higher Learning Commission, North Central Association. GCC and PVCC are two of the 10 regionally accredited Maricopa Community Colleges, a system of institutions dedicated to educational excellence and student achievement in Maricopa County.